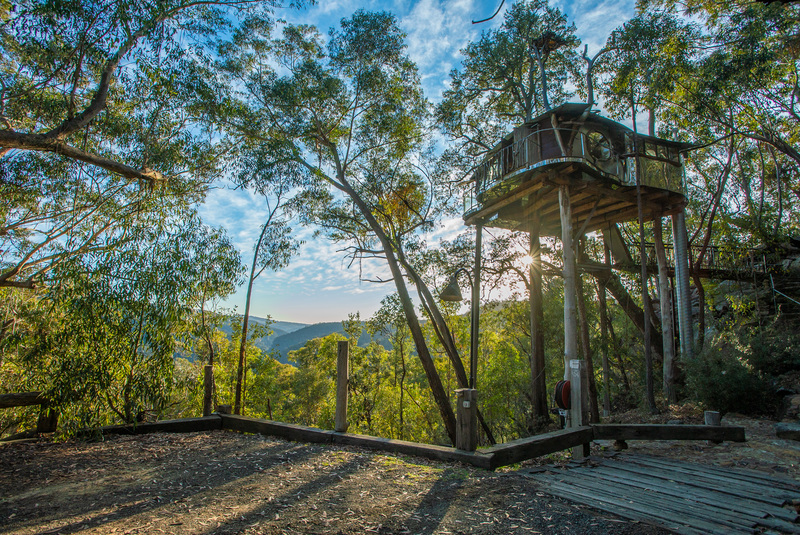 The Treehouse is currently UNAVAILABLE FOR BOOKINGS due to extensive maintenance upgrade work. 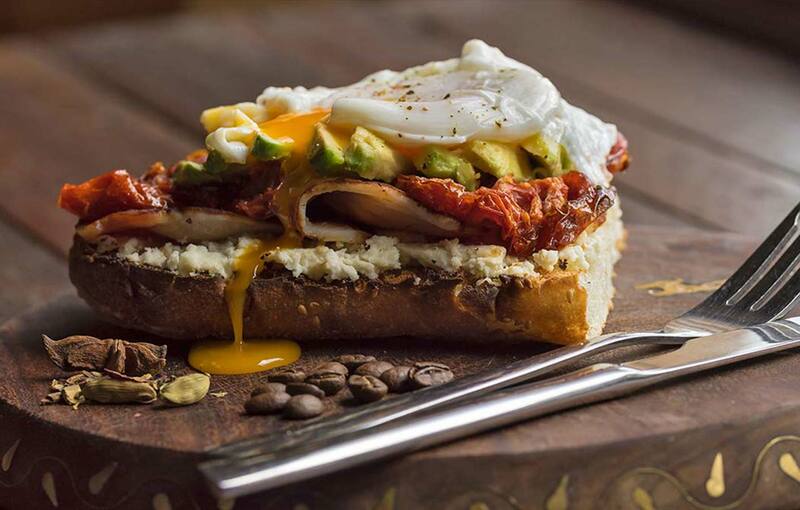 SIGN-UP to the email list below to be the first to know when bookings re-open! 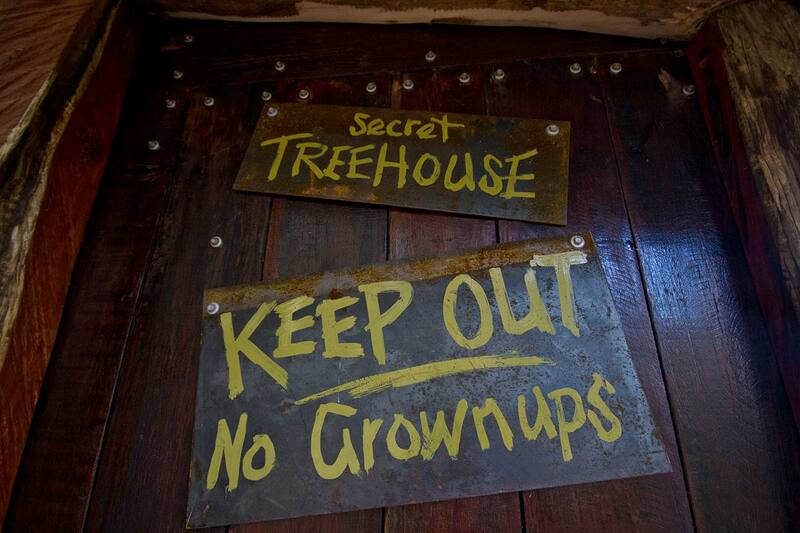 Welcome to the Secret Treehouse - a place where you can live with birds high in the forest tree-tops. 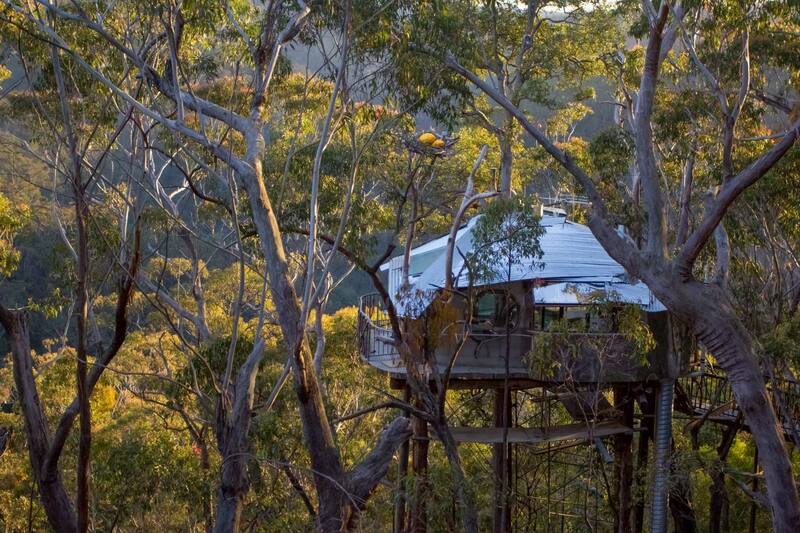 The Treehouse has simply stunning views of the deep Bowen's Creek Gorge and rare Blue Mountains rainforest. Where? 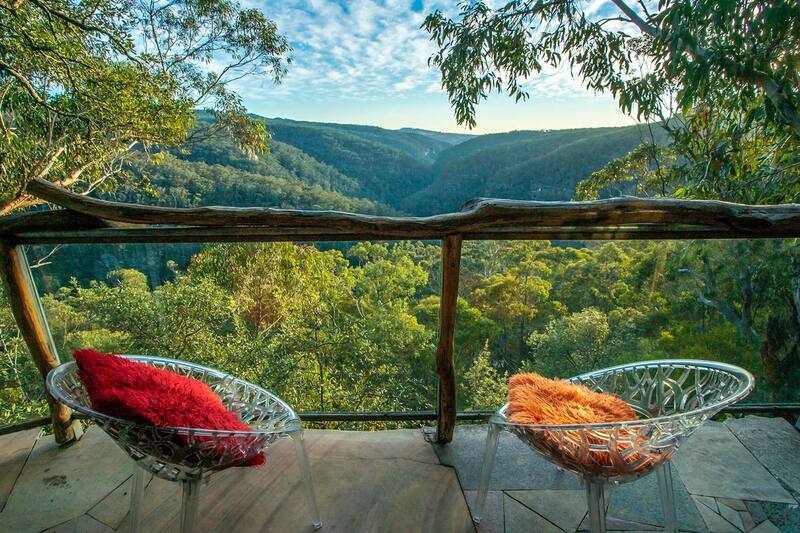 Only 1 hour and 30 minutes drive from Sydney, near Bilpin in the scenic Blue Mountains. 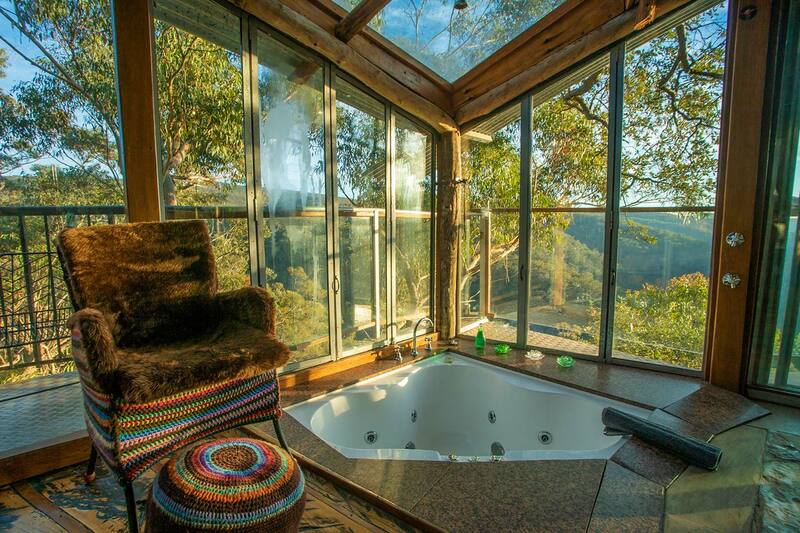 "An absolutely fabulous place to stay and escape the modern world for a bit!" 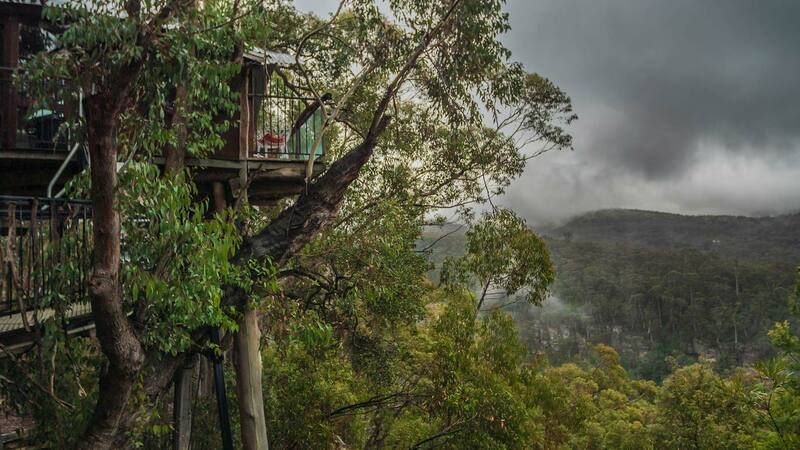 The Treehouse is truly an escape into the wild heart of the Blue Mountains. 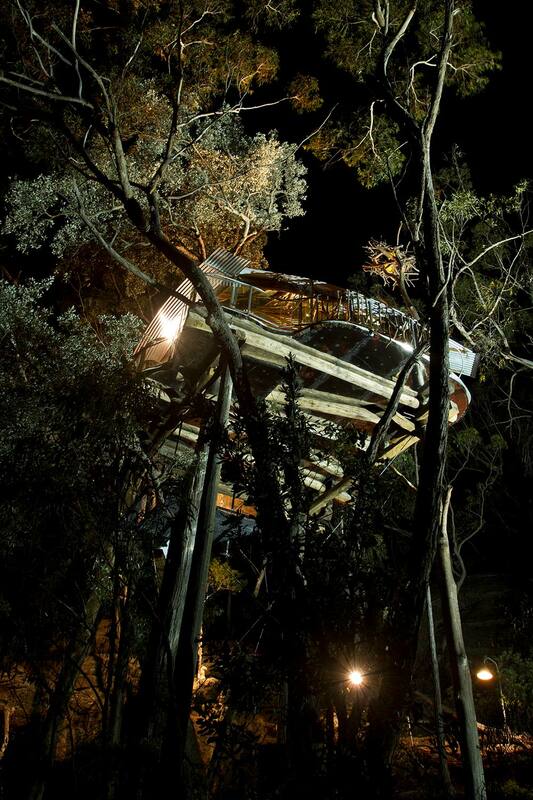 The cabin has been designed with extensive floor-to-ceiling glass windows. 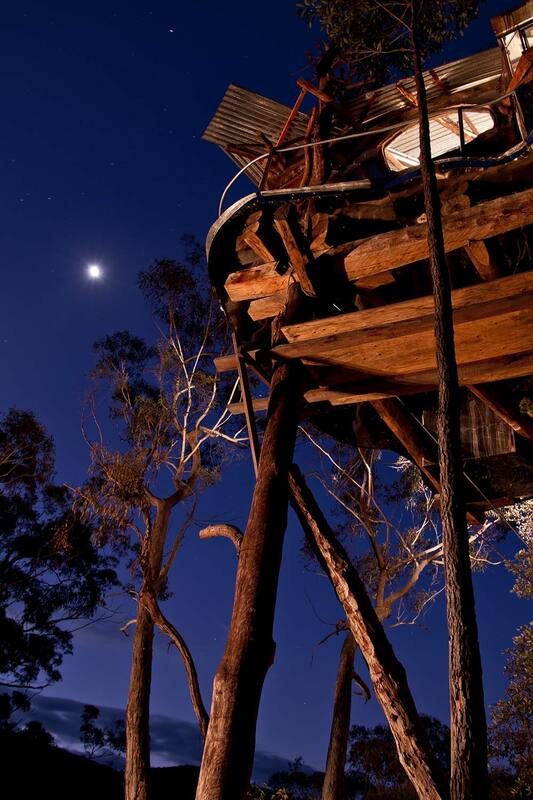 From virtually anywhere inside the Treehouse you can enjoy panoramic natural views of world heritage wilderness. 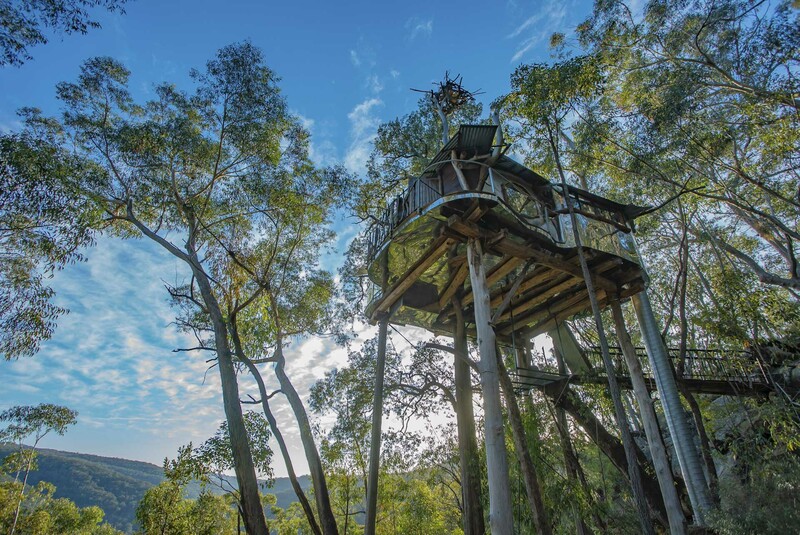 This incredible accommodation was selected from over 3 million properties globally to win the 2016 Air BnB Belo Award for best place to stay! 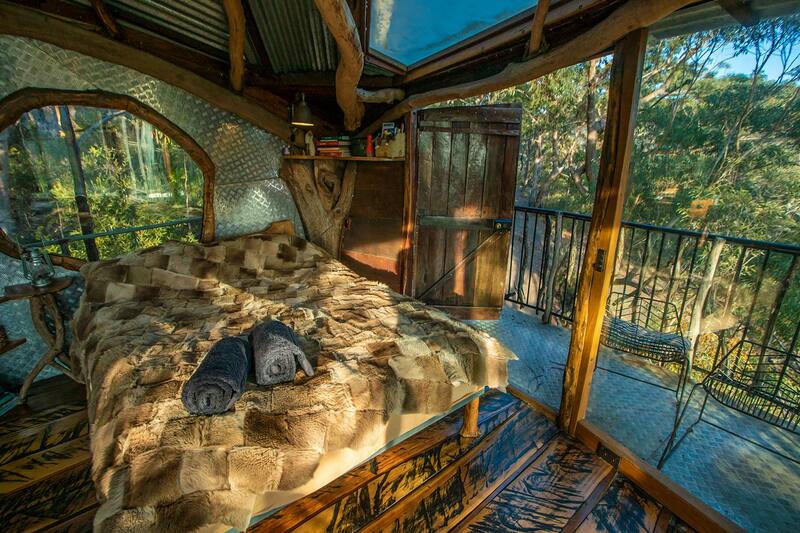 Find out what all the hype is about and book this on-of-a-kind cabin for you and your partner! "Wow! 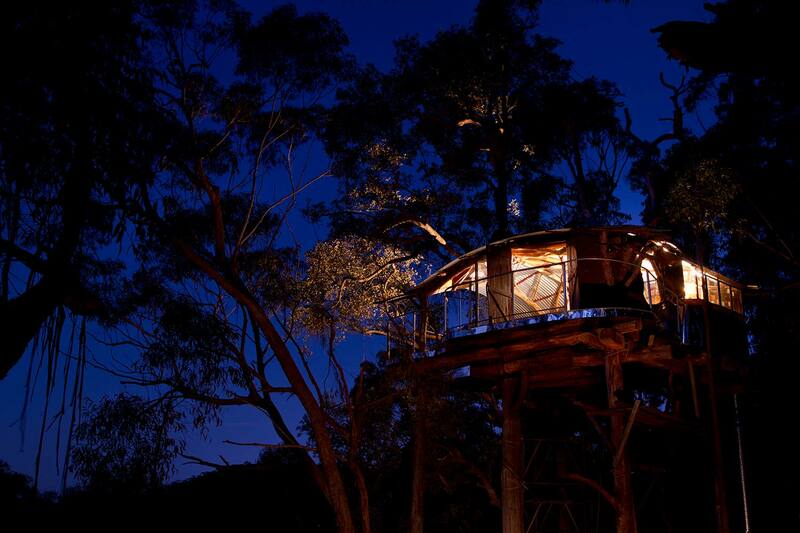 What an amazing place to stay for the weekend. The attention to detail and design are magnificent! Nothing short of perfect...You can not put this experience into words!" The fully open plan design incorporates large glass windows surrounding the entire cabin, allowing guests to feel immersed in nature from anywhere. 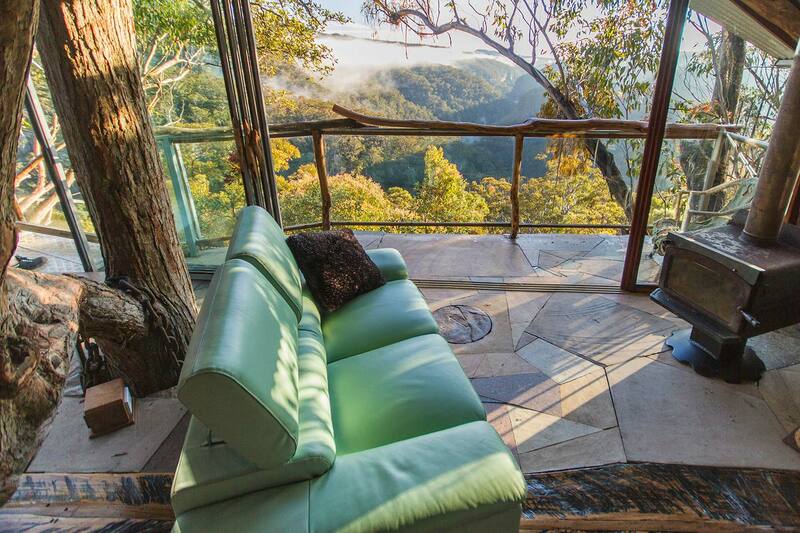 Gaze over stunning panoramic views or rainforest, canyons, cliffs and rolling mountains. This is truly a one-of-a-kind experience like no other. 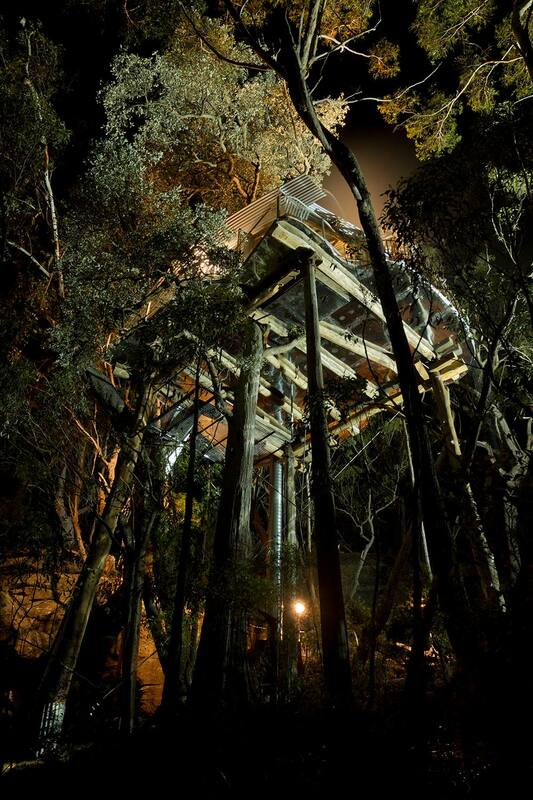 "The design of this special place is flawless in its simplicity and inspiring in its beauty." 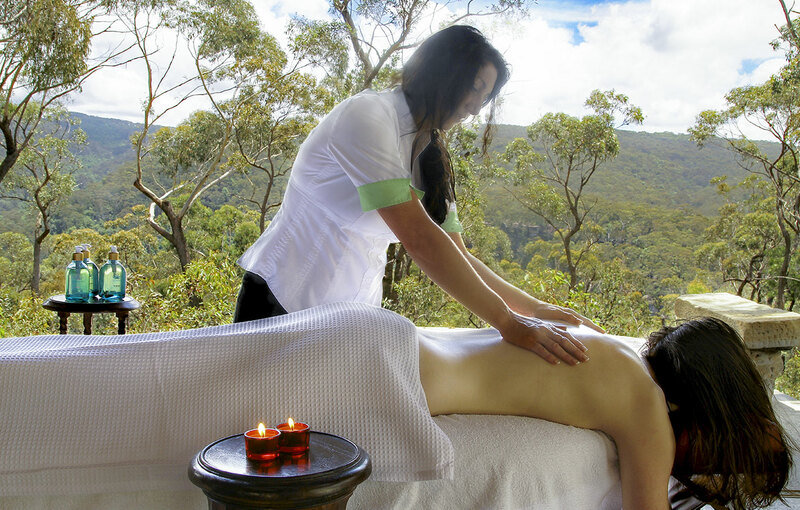 Book an in-cabin massage treatment for the ultimate relaxation. 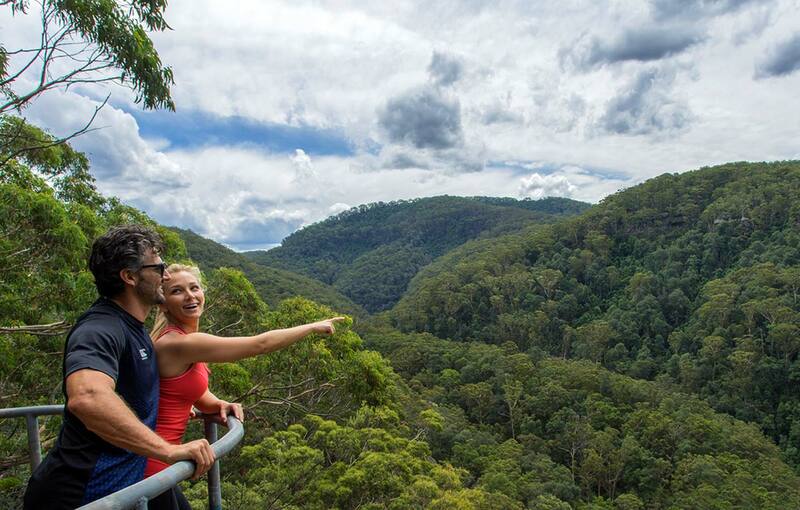 Make the most of your getaway with our range of activities and services. Packages are run by experienced professionals, who provide high quality experiences & products. Explore yourself or book one of our guided walking tours. 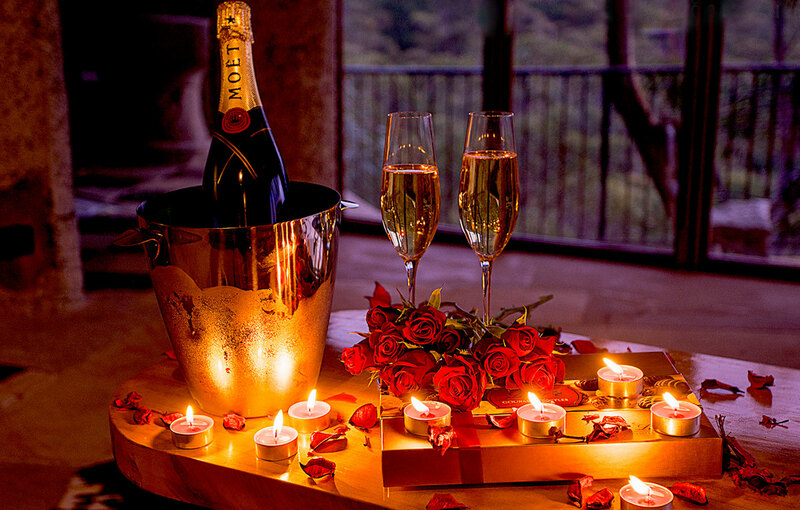 Make the most of your special occasion. 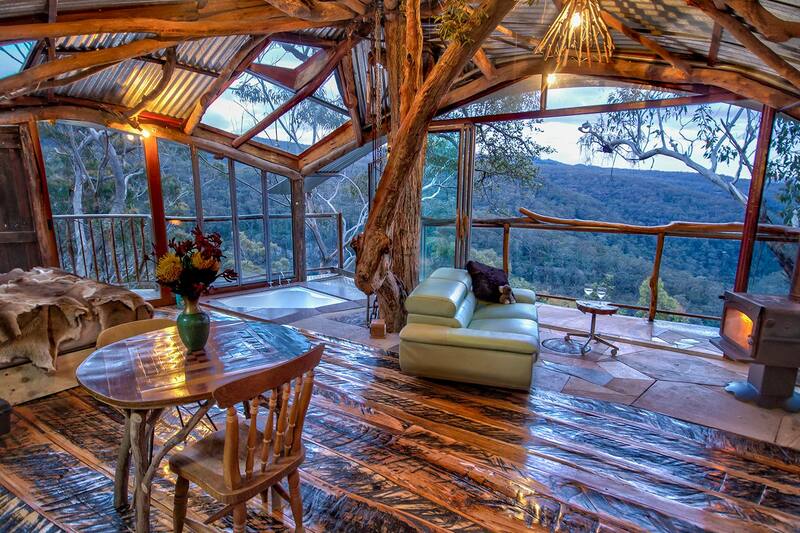 Contact us now and we can help you create a tailor-made dream getaway in the Blue Mountains.